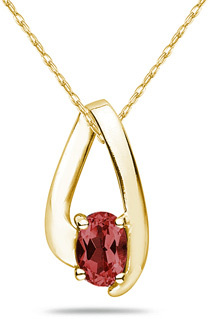 Oval Shaped Contemporary Garnet Pendant in 10K Yellow Gold. Comes with an 18 inch Singapore chain. We guarantee our Oval Shaped Contemporary Garnet Pendant to be high quality, authentic jewelry, as described above.